Ottoman Empire once stretched from the Persian Gulf to the Adriatic Sea, covering much of Southeast Europe, Western Asia, and North Africa, and it is the inclusion of so many cultures that gives its decorative art such ornamentation. With Moorish, Persian, and Byzantine influences mixed with European folk art there is a wealth of design to choose from. This book offers beautiful repeat patterns and borders using rich jewel colors as well as styles evident in Ottoman ornamental art. The motifs work beautifully on cushions, blankets, and table linens. 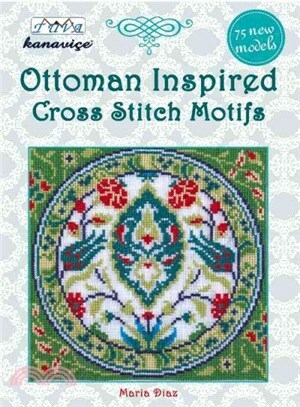 With easy-to-follow charts and many options of Ottoman-inspired traditional designs, this is an inspirational project book. Maria Diaz is a freelance needlecraft designer who has been published regularly in magazines. She is the author ofAn Embroiderers Garden and several books in the Cross Stitch Motif series and the Easy Cross Stitch series.